Is It Time To Move On Or Should I Continue To Try For A Promotion? Leadership coach Lolly Daskal and Psychologist Art Markman help a reader figure out if it’s worth sticking it out in hopes of a promotion or if it’s time to start looking for a new gig in this week’s column. Of all of the perplexing career dilemmas this is a pivotal one. Stay at your job and try to climb the ladder or jump ship in search of greener pastures? When Is The Best Time To Try To Raise Money For My New Business? How Can I Learn Skills For A New Field Without Going Back to College? I’ve hit my 30s, and I haven’t reached my goals. I have my sights set on a director-level role. I love my current company, and up until recently, have had a wonderful relationship with my current boss. There is no director in my department, and I work hard on projects directly from the CEO that have an impact on other departments in the whole company. But when I talked to my boss about what it would take to get a promotion, I got nothing–literally. My boss gave me no advice or encouragement. Instead, my boss looked uncomfortable. I didn’t ask outright for a promotion. I asked what I could do over this next year to make it more viable that I should be a director. What do you think I can do to get to the next level, and should I be looking for it elsewhere? 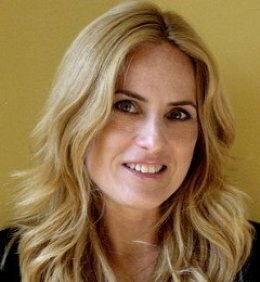 Lolly Daskal is a Leadership Development and CEO coach and consultant and founder of Lead From Within Follow @LollyDaskal. I don’t know all the facts about your business, or your boss’s background, but I think what you most need now is the clarity that lets you make big decisions with confidence. Most of the time, that clarity comes from a courageous conversation. Many people avoid hard conversations because they are afraid of the outcome. But when times are complicated or difficult, those conversations are more important than ever. Here’s how to do it. Stating what you want up front often feels awkward and risky, but it’s the only way to gain the clarity you need. It’s easy to put it off in hopes of finding the perfect time. But you’ll be better off if you stop procrastinating and make the conversation happen. You’ve already had one conversation with your boss, but now you’re looking for clarity–so you’ll need to frame it differently to get different results. Acknowledge how hard this is. A good way to begin is by acknowledging the fact that this is difficult. Stating what you want up front often feels awkward and risky, but it’s the only way to gain the clarity you need. Even if your boss reacts uncomfortably again, this conversation will let you know the reality of the situation. Be willing to listen on every level. In every conversation there is more than meets the ear. Try to understand not only what is being said but what is not being said–to understand what your boss is thinking and feeling. When your boss said nothing, she may not have wanted to deliver bad news out of fear you would quit, leave, or be upset, so she avoided your question with silence. Find out what she is not saying. In every conversation we make assumptions. If you don’t get what you want, it’s easy to feel hurt and frustrated, and to make assumptions about the intentions of others. Admitting what you don’t know can be a powerful way to get a conversation back on track. Admitting you need to know more may be a great way to reopen the conversation and learn (instead of having to guess at) your boss’s intentions. When we bring our feelings of fear, anger, embarrassment, and defensiveness to our conversations, they interfere with what we want to say and what we are trying to hear. Instead, move to the middle: state what you really want. The tough emotions won’t evaporate, but try to focus on the outcome you want in spite of them. Maybe you can ask why she has been silent on the subject, why she seems not open to discuss the position–but in a neutral way, without feelings. Leaving your feelings out opens up room for the facts you need to make a decision. Sometimes you can steer a difficult conversation in a good direction by focusing on the other person’s needs, which in this case mean finding ways to support your boss in ways that are beneficial to you both. It may feel contrary to intuition, but it can be an effective way of getting your needs met. Put yourself in your boss’s shoes. What is your boss thinking? Why isn’t she helping you? What is happening in her life? What is her relationship with the CEO? Keep the goal in mind. Go into difficult conversations with a clear, realistic preferred outcome; the key is to come out with clarity and answers. When you have a goal in mind you’ll be less likely to get thrown off course by either thwarting ploys or your own emotions. The idea of the courageous conversation is about having awareness, having acknowledgement, being clear, inviting answers, and gaining clarity. Working your way through such a conversation is hard work, especially when you feel you are not being seen or heard. But if change is coming, in whatever form, this conversation will help. If you absolutely can’t have it with your boss, then have it with the CEO. Get to the bottom of the situation so you can make a clear decision about your future. 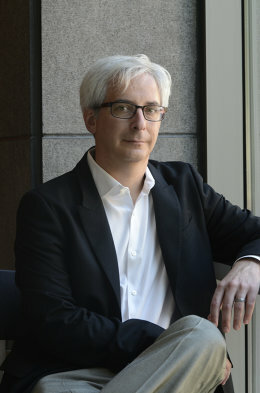 Art Markman, professor of Psychology and Marketing at the University of Texas at Austin. His latest book, Smart Change, focuses on how you can use the science of motivation to change your behavior at work and home. Follow @abmarkman. That is a frustrating situation. You have asked a direct question about your future and you haven’t gotten a direct answer. There are several things you can do to help you achieve your goal to get a promotion as well as to figure out your long-term future with your current company. To begin, it would be helpful to get to the root of the unsuccessful conversation you had with your current boss. There are three likely possibilities. 1. Your boss may feel threatened by your question (whether you meant it that way or not). That does not sound likely given what you describe as your past relationship, but it is a possibility. 2. Your boss may have an agreeable personality. Agreeable people really want people to like them. If your boss can’t give you good news related to possible advancement, then a common reaction for agreeable people is to avoid the conversation. There are many reasons why your boss might not be able to give you good news. For example, the company may be trying to thin the ranks of management, and so there may not be a director-level position opening up in the near future. 3. Your boss may just be reluctant to see you move on. If you have been a valuable member of the team, it can be hard for some bosses to let go. To address these issues, there are a few things you should do. Eventually, you are going to meet with your boss again, but before you do that, it would be worth getting a little more information that you can use in that conversation. Make it clear that you want to continue to contribute to the company, but that you also have aspirations for moving your career forward. Find out whether your company has any leadership development that they do in-house (perhaps through the organizational development team). Some companies offer classes to future leaders or are willing to send promising employees to seminars to develop new skills. Also, find out what kind of reimbursement you might be able to get for getting a professional degree to enhance your strengths and to shore up any key weaknesses in your profile. This information will be helpful for creating a concrete plan to move forward with your career. After you get this information, set up another meeting with your boss that is focused on your desire to advance. Let your boss know that this is your intention before you schedule the meeting, so that both of you can be prepared for that. At that meeting, you want to find out how willing the company will be to support your additional training and to get a sense of the options for a career path in the company. Make it clear that you like the company, and that you want to continue to contribute, but that you also have aspirations that are important to you for moving your career forward. Hopefully, your second meeting will go more smoothly. If the meeting doesn’t go well, then it is important to find a mentor who can help you meet your career goals. If you are looking for a new job, it may be awkward to find a mentor inside the company. So you can try some networking groups and local chapters of professional societies in your industry. Often, there are successful leaders nearing retirement who are looking to help younger people in the industry to maximize their potential. If you don’t click with anyone at these events, then look for a career coach. There are some excellent coaches who can make good suggestions about additional education you might want as well as other companies that might be interested in your skills.